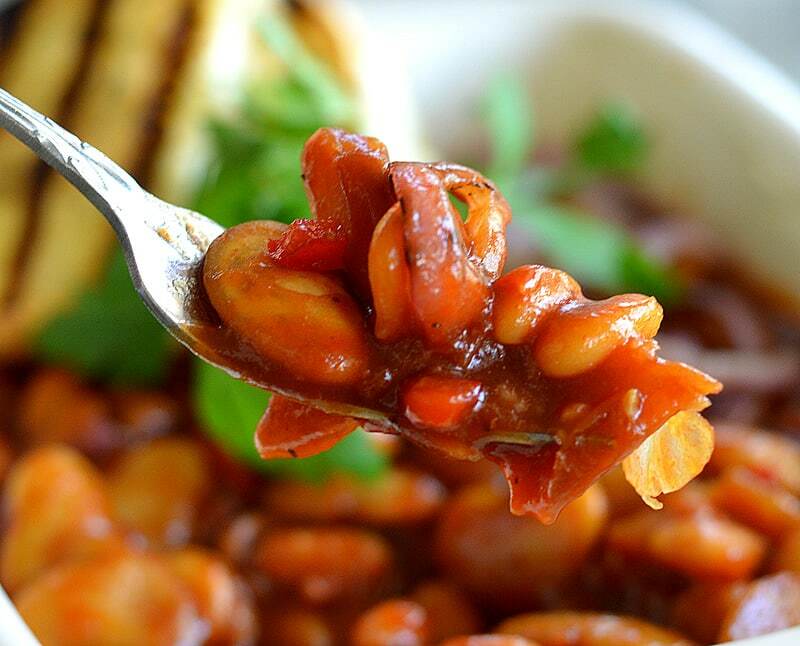 One of my earliest recipes, Brown Sugar Barbecue Baked Beans, has been one of my most popular recipes this time of year. 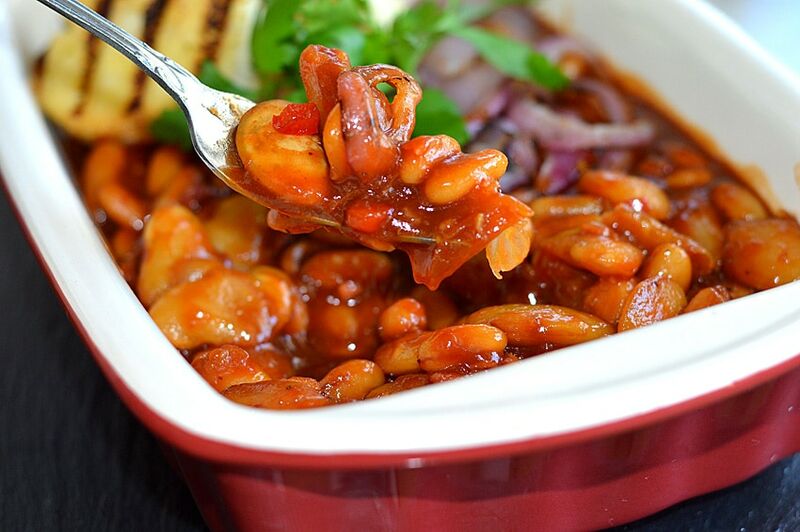 So I thought I’d do another version and thus these Loaded Barbecue Baked Beans were born! This time around, start with your favorite prepared barbecue sauce. Vegan-friendly, of course. To enhance the sauce, I added yellow mustard, (vegan) Worcestershire sauce, brown sugar and apple juice for a bit of sweetness. I used two types of beans in this dish. Cannellini and Butter Beans. You could use virtually any type of bean here, so pick your favorites. The drained and rinsed beans are added to the sauce along with a red pepper and soy bacon bits (or you could opt for liquid smoke here). Bake for about 30 minutes at 350 degrees or, you can do this on the grill. While the beans are baking, I also grilled a red onion until it was charred and tender. I also used vegan margarine on a piece of Texas Toast for a side. Once the toast was ready, I took a whole garlic clove and rubbed it on the crisp bread. I like this technique when I prefer just a hint of garlic. You could also infuse the margarine with garlic and brush it on the bread. 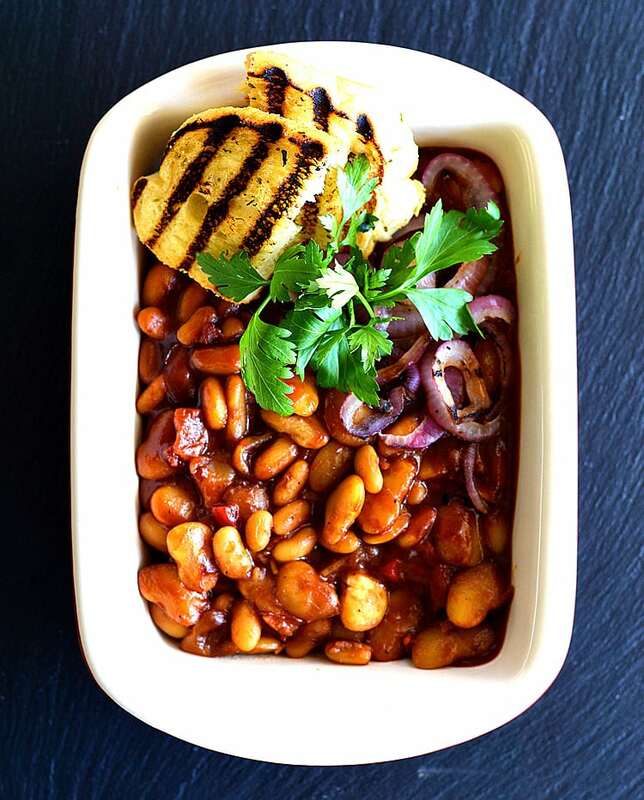 Top the beans with the grilled onions and serve with the thick-cut Texas Toast. 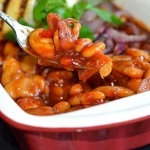 These Loaded Barbecue Baked Beans are as the name states, loaded with flavor. Want even more options? If you can find jackfruit, you can add it to this dish. It shreds beautifully and has a great texture. You can read all about jackfruit here.